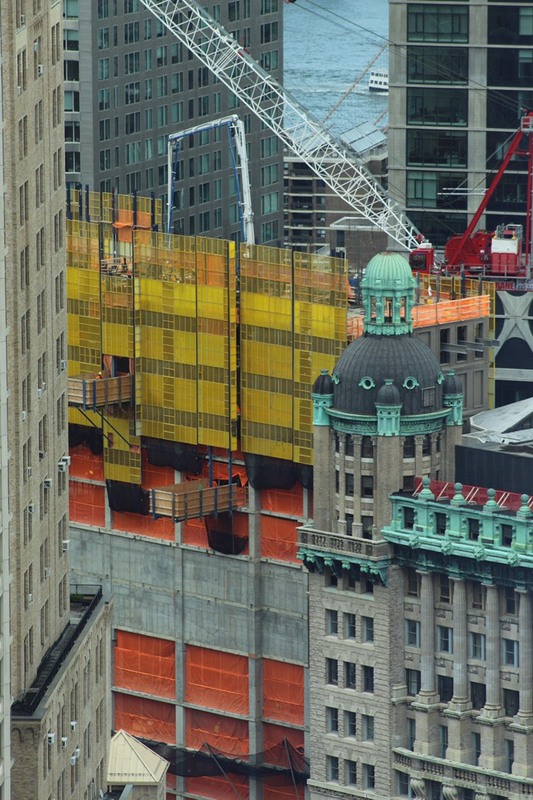 It’s up, up, and away for the new residential skyscraper at 25 Park Row, which is now visible from the 9/11 Memorial. 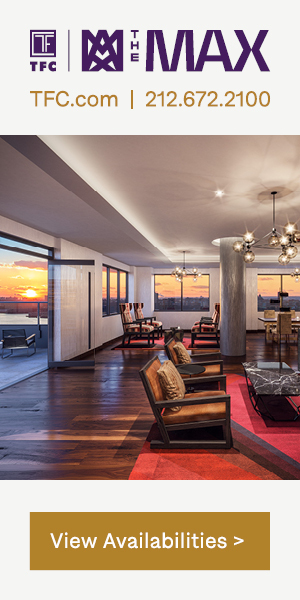 The tower is being designed by COOKFOX Architects, and the developers are L&M Development Partners and the J&R Music Store founders, whose business formerly occupied the same site. 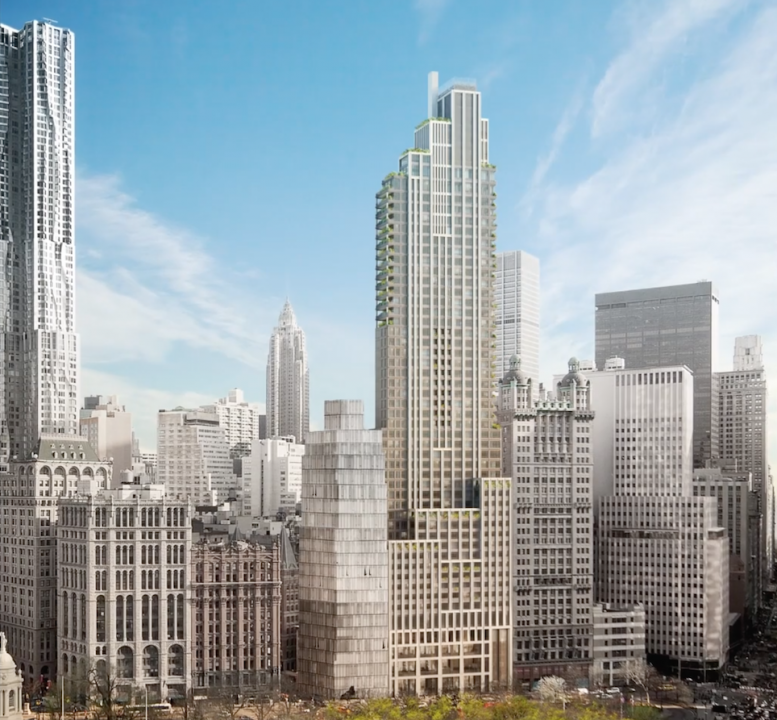 The structure will soon rise 49 stories into the Lower Manhattan skyline, to a height of 665 feet. 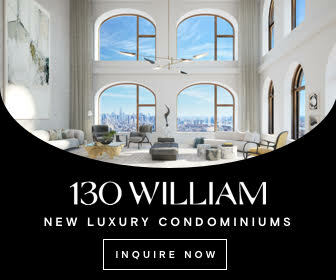 The lot sits in between 1 Beekman, aka “The Pearl on The Park,” which has now topped-off, and the 119-year old Park Row Building. The latter is about to be surpassed in height by its new neighbor, most likely by the beginning of August. With nearly 350,000 square feet of interior space, the future residential building will include retail on the bottom floors along Park Row, and 22 parking spots. Up above, there will be 110 apartments. 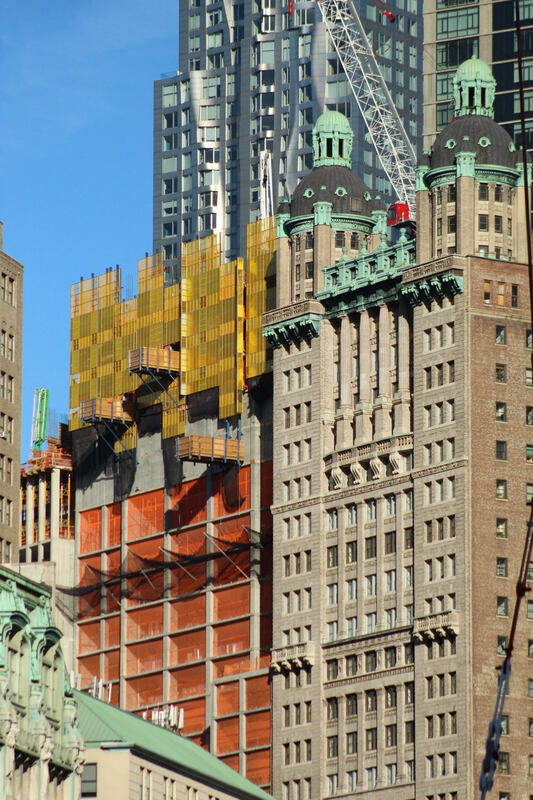 As of right now, the first exterior panels have already arrived and have been installed on the north facing wall of the building that abuts 1 Beekman. The form of the building starts with a bulky base that rises and grows thinner, and will eventually terminate with a stepped roof parapet. 52,000 square feet will be dedicated to commercial space on the first four floors. 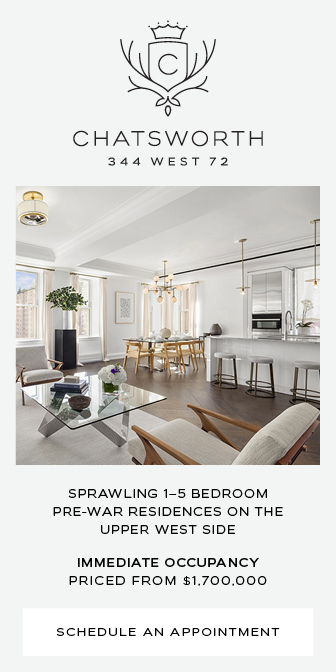 About 210,000 square feet of residential pace will be located up above, with condominiums averaging about 2,000 square feet apiece. 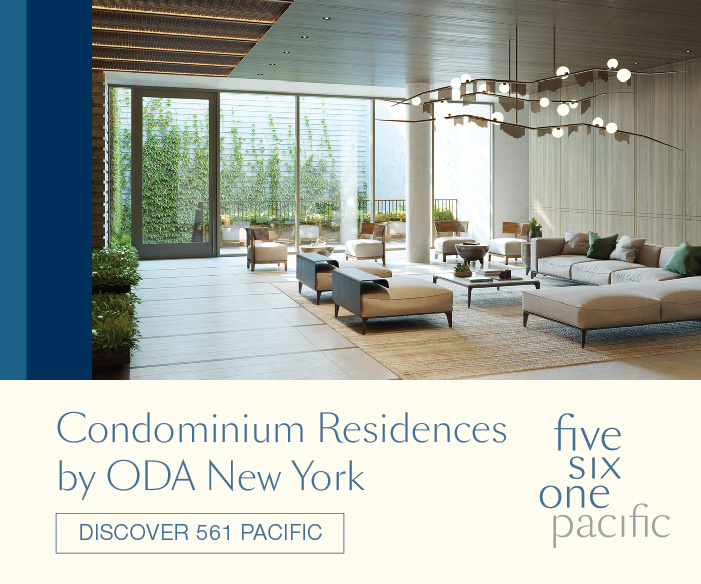 Outdoor balconies are part of the northern end of the building, and will offer unobstructed views of the Brooklyn Bridge, New York by Gehry (8 Spruce Street), and plentiful morning light when the sun rises in the summer months. 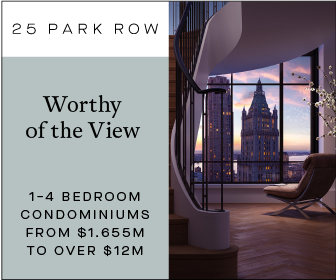 Looking west from any of the windows, residents can enjoy the view of City Hall Park, the World Trade Center and the Woolworth Building just across. Foundations were completed in the winter and the tower has climbed at a steady speed since spring. No completion date has been formally announced, though sometime in mid 2019 seems most likely. 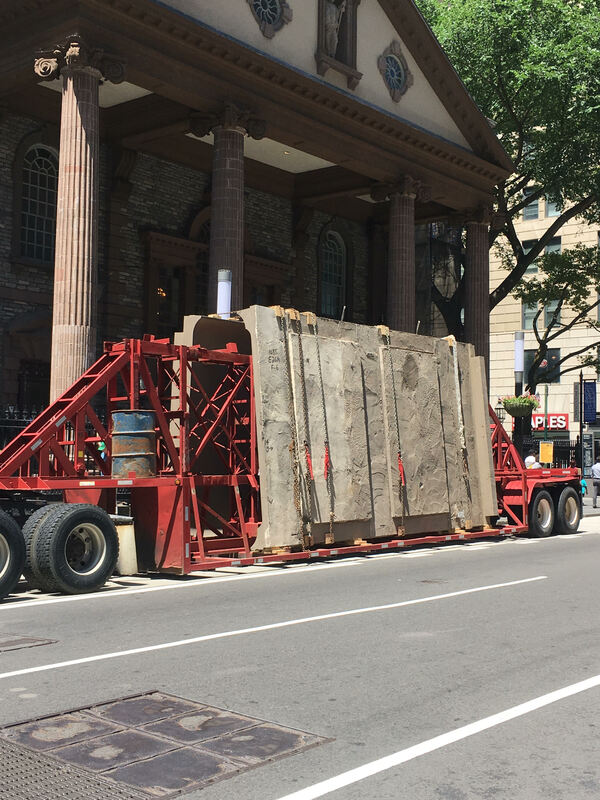 2 Comments on "25 Park Row Reaches Halfway Mark Above City Hall Park in Lower Manhattan"
You’re gonna see so far from those balconies!